Globe Artichokes vaguely resemble fruits of custard apple. Their name has relevance with their external spherical shape. They have been a familiar crop in the southern part of Europe for centuries. 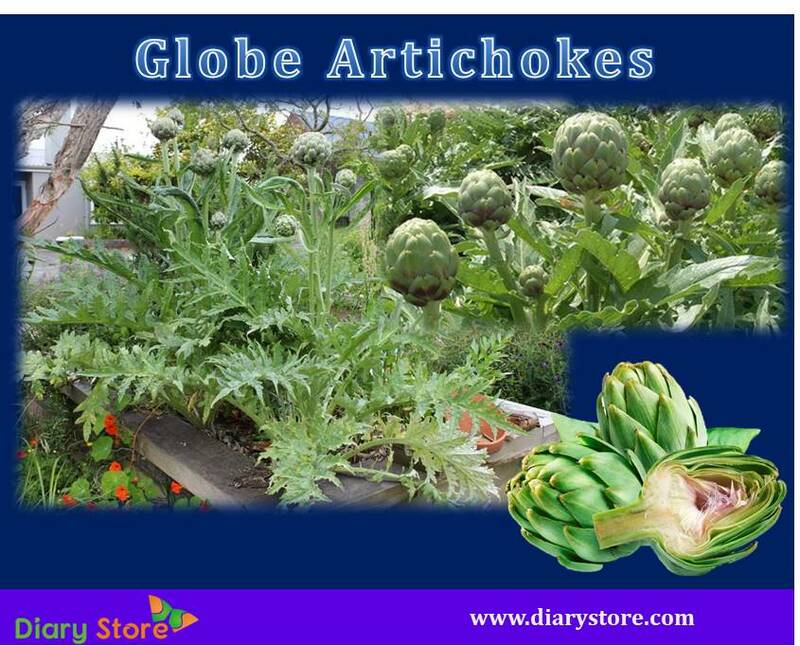 Globe Artichokes are eaten more as a delicacy rather than a regular vegetable used in daily cuisine. The edible part of the fruit is rudimentary flower buds before coming into full bloom. The whole cluster is in the shape of spherical bulb with a tapering apex on the top. While most of the flowers are green, we come across purple coloured bulbs though rarely. Tender flowers are fit for eating which can be identified by gently squeezing them to produce a squeaking sound due to inner humidity. The cluster consists of hard scales like tiny green lotus petals overlapping on one another. Since the edible part lies inside the bulk, the external layer is made up of hard scales which need to be peeled off and discarded. The pointed apex should be chopped off and the pointed tips of scales should be snipped off to remove the thorny part. The fruit is then boiled in hot water for about 30-40 minutes along with lemon slices and the inner fibrous part is removed. The boiled scales which become soft on being braised in hot water are eaten; some prefer dunking them in sauce to make them tastier and more palatable. The therapeutic uses of globe artichoke are still under research. 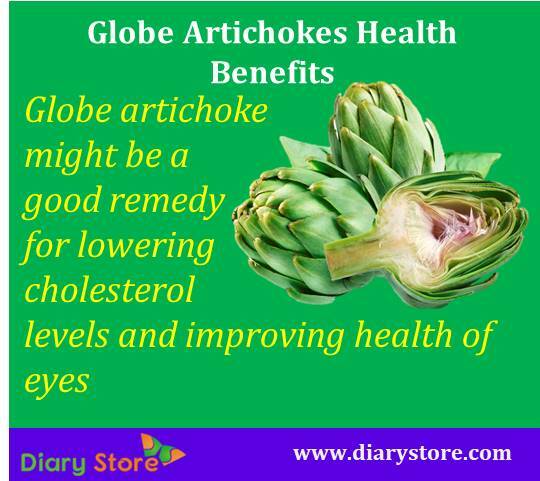 It is believed that globe artichoke might be a good remedy for lowering cholesterol levels and improving health of eyes. Medical scientists are yet to come up emphatic conclusion to that effect. Research is still underway for more reliable results.